I am passionate about helping people get active. This may be getting clients back to what they were previously doing prior to illness and possibly beyond. For others, it’s the encouragement to get active in ways they may never have done before. I know, first hand, that the smallest step can make a difference. And so began my mission to find tools that could assist with this. As a result of extensive development and evaluation, I have created the range Lymphactive products. These have been designed to get people moving and empower them to take steps in the right direction in achieving their goals. The Lymphactive pedometer is a perfect example. I have seen how wearing a pedometer works as an excellent motivator, prompting the user to get up and get active. I encourage all my clients to have one. 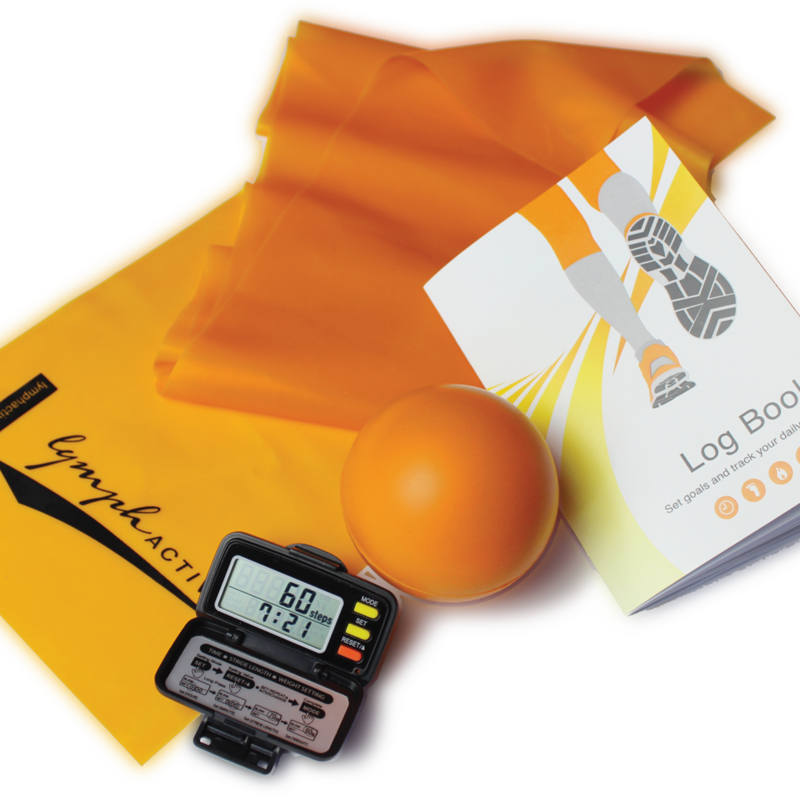 The Lymphactive pedometer is accurate, affordable and easy to use without confusing technical settings. It is sold with a log book to record up to 22 weeks of activity and motivational tips. There is also a bonus Lymphactive Exercise Ball to use when out walking. I would like to share these products with you. Purchase single products to trial them or buy packs of ten so you can sell them to your clients. I am currently offering a special price for health professionals. Enter the coupon code ACTIVE2016 on check out. For those outside Victoria I will be in Perth on Saturday 16 July and Brisbane on Sunday 14 August so you may like to save on postage and pick them up from me.